OK, the elephant in the room (for the Christian adherent) is The Book of Leviticus (authored by Moses) chapter 19, verse 28, which seems to prohibit tattoos. Did you know the verse right before it (verse 27) prohibits cutting your sideburns and trimming your beard? Very interesting. As followers of Christ we are to rightly interpret and to extract the truth of the Christian Scriptures. To wit, that passage in Leviticus was distinctly part of the Old Testament and its particular laws for the Hebrew people at that specific time in history. We are now under the New Testament and its freedoms in Christ… (to be explored in another post). A Harris poll in 2012 found that 21 percent of adults in the US has at least one tattoo. An earlier Pew Research study found that the number was closer to 40 per percent among those ages 18 to 29. Body art has always been a way for people to express their philosophies and values and to elaborately “decorate” themselves. We see present day Christians also expressing themselves by emblazoning Bible verses, crosses, or fish symbols on their arms or calves (and everywhere else). But today’s Christian is certainly not the first generation to do this. Some early Christians, especially those in Egypt (The Coptic Church), took the ancient practice of tattooing and infused it with Christian meaning. 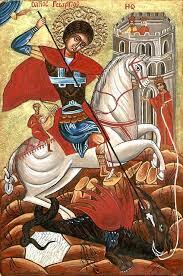 With the evangelistic efforts of Saint Mark (the author of the Gospel of Mark), Christian evangelism found fertile soil in Egypt (beginning in the Egyptian city of Alexandria) in the first few centuries after the resurrection of Christ. During that time the Coptic Church grew and assumed a position of leadership in the late Roman Empire. When Arab Muslims invaded Egypt in 639 A.D. the vast majority of Egyptians were practicing Christians. Within two centuries, the Muslim government realized that in order to maintain power they had to make life more difficult for Christians who refused to convert to Islam. They increased taxes on Christians, restricted traditional Coptic dress, expanded the use of Arabic, and more often than not used martyrdom as law enforcement. Yet throughout centuries of persecution, the Egyptian Church and its people survived. 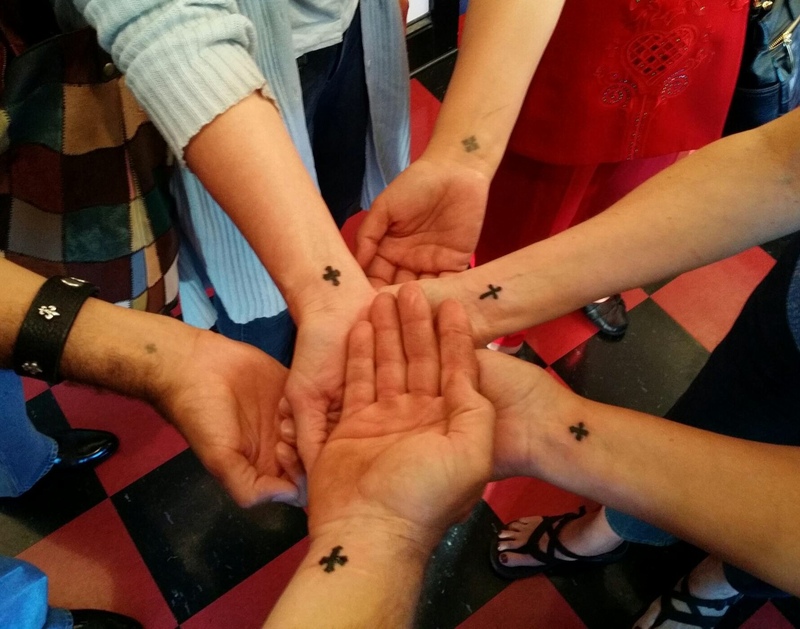 During these long periods of injustice, the practice of tattooing the Coptic Cross began. The tattooing was (and is) a sign of pride and defiance given by the Coptic Church for its members. Getting caught with this tattoo guaranteed the bearer harsher treatment by the government. 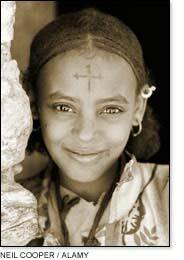 In an ultra form of defiance, you had the militant Copts who would tattoo their foreheads! 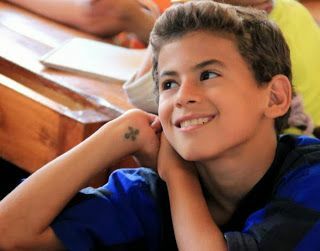 The earliest evidence of Coptic tattooing goes back to the eighth-century, when Egyptian monks began to brand their hands with Christian symbols. 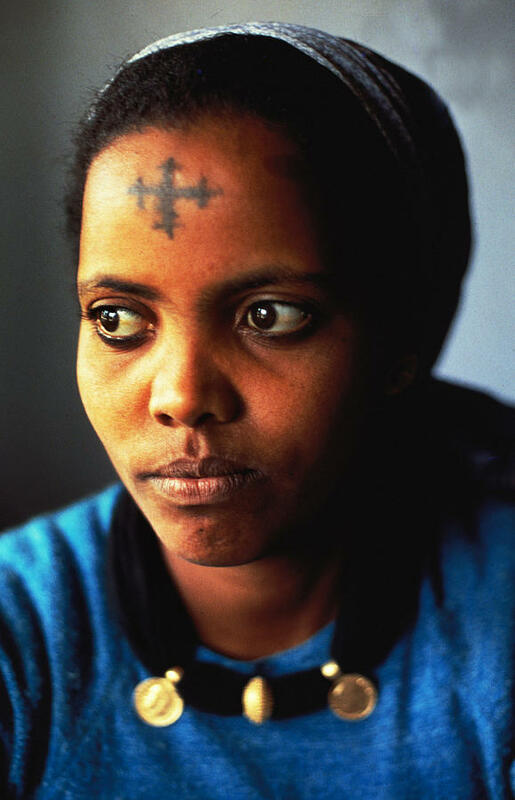 Some scholars believe they learned the practice from Ethiopian Christians, who branded crosses on their foreheads, temples, and wrists. In another example of Christian tattooing, we have in the fourth century A.D. the Montanists, a variant Christian sect, who tattooed themselves as an expression of being slaves to the cause of Christ. So, it seems as though the passage of time brings new eruptions of the concept of Christian tattooing. 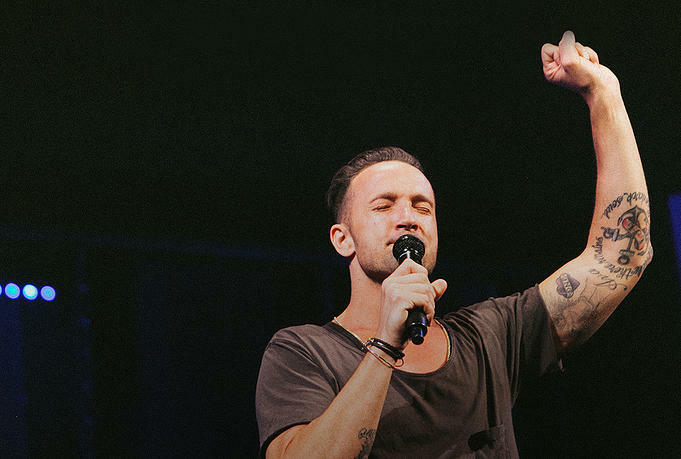 In these closing comments regarding tattoos, I am reminded of the freedom of expression we posses in Christ which Paul speaks of in the First Book of the Corinthians, chapter 8. Paul also says to restrict your freedom if it offends a fellow believer; however I wonder where the line of demarcation is. The line where the Christian of fragile conscience is in fact an immature and legalistic believer who is dangerously close to adding a work of the flesh to the Grace of Christ.